‘Tis the season when just about everyone brings a tree inside to decorate for the holidays. Balsam Fir is the top choice here in Maine, although some people might go for a Scotch Pine or a Spruce. Balsam Fir gives off a heavy, woodsy scent that can’t be matched and it holds its needles longer than a spruce. Have you ever wondered why many so people practice the Christmas tree tradition this time of year? Where did it all begin? Some say it began in Germany during the eighth century when Saint Boniface cut an oak tree to stop a sacrifice. Later, a fir tree grew from the spot where the oak tree had been and so the old Saint proclaimed it a holy tree. Others say a fellow named Martin Luther started the tradition in the 16th century by bringing a tree inside and lighting it with candles for his family, and he dedicated the tree to the birth of Christ. Apparently, Queen Victoria and Prince Albert popularized the Christmas tree in England during the 1800s. We will probably never know for sure where the Christmas tree tradition began, but we will continue the tradition just the same. Please be safe this holiday season and keep your tree from drying out and becoming a fire hazard. Try to keep the tree in water at all times and take it out before it gets too dry. Never allow any open flame around your tree and remember to turn the lights off any time the tree will be left unattended. I would like to take this opportunity to wish everyone a safe and happy Christmas Season. Thank you. Robert Fogg is from Q-Team Tree Service in Naples and is also a licensed Arborist. Last Saturday, family and friends gathered at the Windham Baptist Church for A Very Sandy Christmas Part 2. 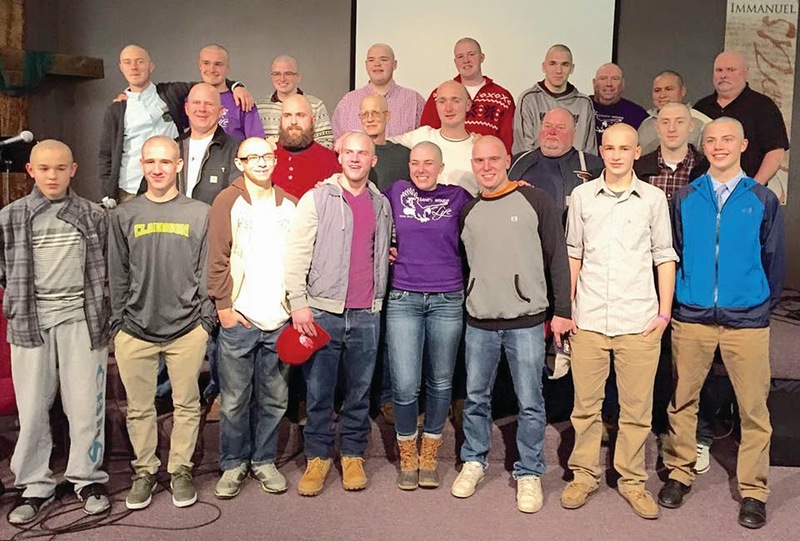 Piano students and singers performed to raise money for Raymond resident Sandy Winde who has been battling pancreatic cancer for more than two years. Over 250 people attend, piano students played and two former chamber singers sang a duet. The only glitch was that there weren’t enough chairs for people to sit on. “There were people standing in the back and on the sides of the room,” said Callahan. The dining room at Windham Residential Care, an assisted living facility, was unusually active on a recent December afternoon. 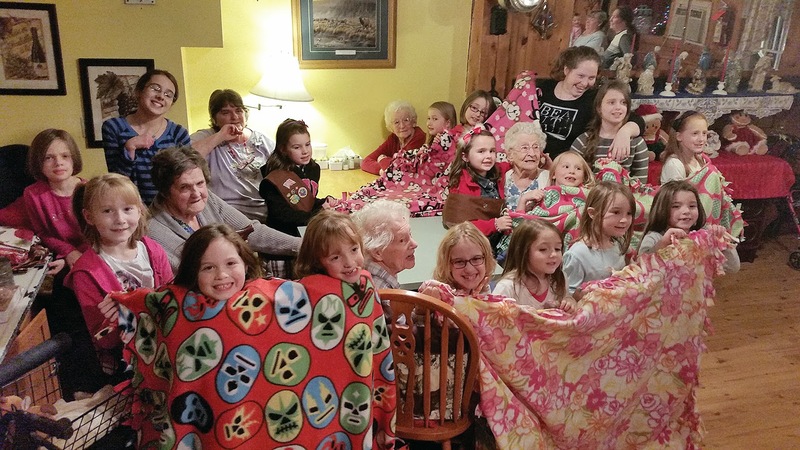 Girl Scouts from Troop 1453 joined with several residents at the River Road facility to put the finishing touches on blankets they were creating for Project Linus, a national organization that donates colorful and decorative blankets to children in hospitals and shelters. 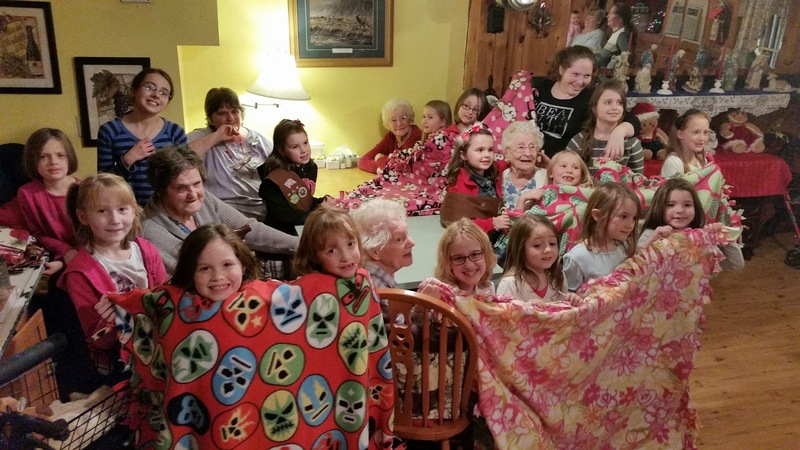 The blanket project is one part of the Scout troop’s World of Girls Journey badge, which later will include Adopting a Family for the holidays and singing Christmas carols at Windham’s Ledgewood Manor. Philip Dow held his Eagle Ceremony last Sunday where he was presented his Eagle Scout patch, medal and certificate by his family. Philip is son of Steve and Nancy Dow. The ceremony was held at the North Windham Union Church and run by Troop 51 from Windham. Phil’s Eagle project was to build an addition on to a building owned by the Windham Historical Society. The building will be an authentic school house in the Village Green project. The project took hundreds of hours.